Did you recently sell your car in Brisbane? If so, let’s hope you’ve found yourself a new one because if you’re in the driving scene and you enjoy easy-access scenery, you really don’t need to go far for natural beauty in Brisbane. 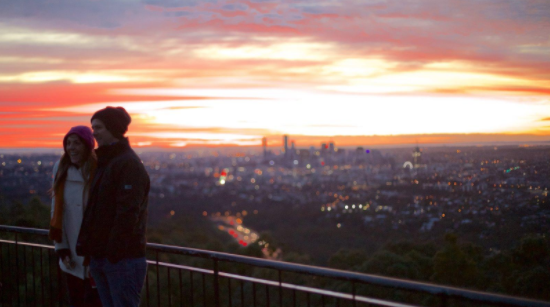 Only 5 kilometres and 15 minutes in your new car on the Sir Samuel Griffith Drive takes you up to 1,500 hectares of Eucalypt forest in Mt Coot-tha which has one of the most spectacular panoramic views of the city and surrounds. When you reach the top and park your car, there is a particularly wonderful experience upon opening the door as the song from hundreds of birds and the rest of the 370 animals species rushes in with the sweet mountain air. There are creeks and waterfalls and walking tracks, but you can come simply to take pause and enjoy being the observer of the city from afar. There is a café and restaurant near the look out but if you’ve got your own vehicle, take advantage and pack a picnic and a blanket. Views from the twisty journey up Sir Samuel Griffiths Drive. Sunset peace at the Mt Coot-tha lookout, far above the bustling city noise. 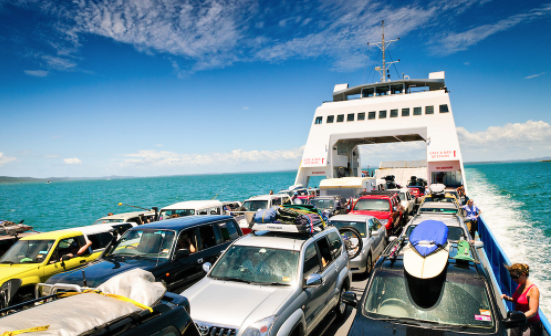 If you’re up for going just a bit farther, thirty Kilometres out of the city centre, you and your car can take a 45-minute ferry across Moreton Bay to explore the shimmering North Stradbroke Island. The sealed roads let you explore in any vehicle, and if you’ve got a four-wheel-drive you can actually cruise along right on the beaches. There’s dog friendly camping and other accommodation but make sure to book before your trip because it’s a popular place to be year round, especially Christmas time. You can pack your own food and surfboards into your car for extra freedom, otherwise you can find most goodies to buy or hire on the island. In June through November, make sure to park at one of the look out points and spend some time watching the whales go by. Car passengers enjoying the warm sea breeze on the way to Stradbroke Island. On the way back, take a drive through the many Moreton Bay Farmer’s markets. If you’ve got an Eskie in your boot, stock up on fresh caught seafood, or just enjoy the local cuisine and people watching. Most of the markets are open every day. 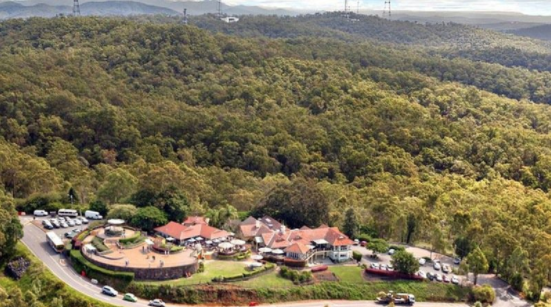 From Brisbane city, if you drive your car south down the M1 for an hour to Nerang, you can self-tour the majestic scenic loop through Tamborine Mountain. Coasting through the windy roads of the Gold Coast hinterland you can stop off for misty rainforest walks or head into the small village towns to sample to local food and wines. If you’re feeling a bit wild when you reach the mountain you can even hang glide off the peak amongst the vast birdlife flying over the valleys and various types of forest. 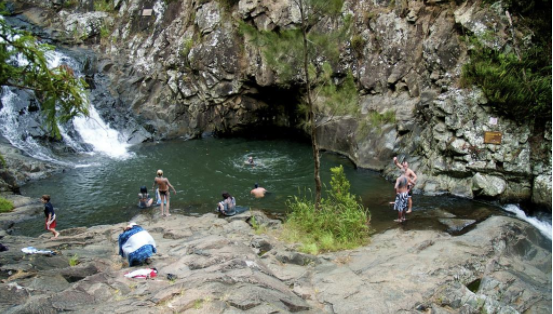 On the way back around make sure to stop off at one of the swimming holes or waterfalls, like the Cedar Creek Rock Pools, to wash off the exhilaration of the day. Brisbane city-goers rejuvenating in the on the way back from Tamborine Mountain. Chances are, if you’ve just sold you car in Brisbane, you’ll need to give your new one some decent road miles before taking it back to the crowded city car parks. 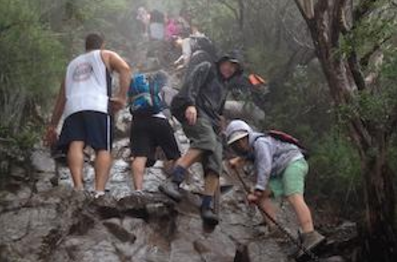 Once you’ve come as far as Tamborine Mountain, you may as well keep heading south to Australia’s Green Cauldron, which harbours 12 National parks. 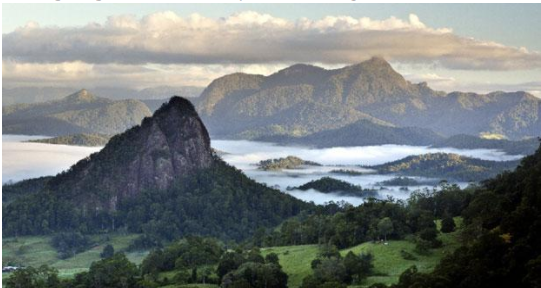 To get there, skip the monotonous Pacific Highway and hop on the Nerang-Murwillimbah Road instead which leads directly to the volcanic valley of the Wollumbin Caldera and the illustrious Mount Warning. From here it’s your choice on whether you follow the summit trail on foot for views of the Great Dividing Range or rest in the lovely mountain villages. The rewarding view for those who brave the Mount Warning summit trail. An adventurous family scrambling to the top. If the first few drives have given you the road trip bug, make a vacation of it and keep heading down the coast. Check out the scenic drives you can do from Sydney https://www.areyouselling.com.au/sell-my-car/sydney/ or take it all the way to Melbourne https://www.areyouselling.com.au/sell-my-car/melbourne/.